The Carpet and Rug Institute (CRI) is the national trade organization representing the carpet and rug industry. In an effort to promote increased cleanliness and to extend the expected lifespan of carpeted surfaces, CRI has developed the Seal of Approval (SOA) certification to identify better performing deep cleaning carpet extractors. To qualify for the SOA, deep cleaning carpet extractors must pass stringent independent laboratory tests which measure performance in the categories of soil removal, residual water removal and texture retention. Based on the results, the carpet extractors are awarded either Bronze, Silver, Gold or Platinum ratings. A professional in the cleaning industry can choose to utilize CRI SOA carpet extractor certification standards to specify and source third-party certified extractors which have a more environmentally preferable profile. Certified green cleaning equipment in the categories of self-contained and portable carpet extractors can help a facility reach its overall sustainability goals, and can potentially contribute to LEED O+M certification for the building or CIMS-GB certification for the cleaning service provider. For more information about the CRI, please visit www.carpet-rug.org. WAXIE has several CRI Seal of Approval-certified deep carpet extractors from which to choose. 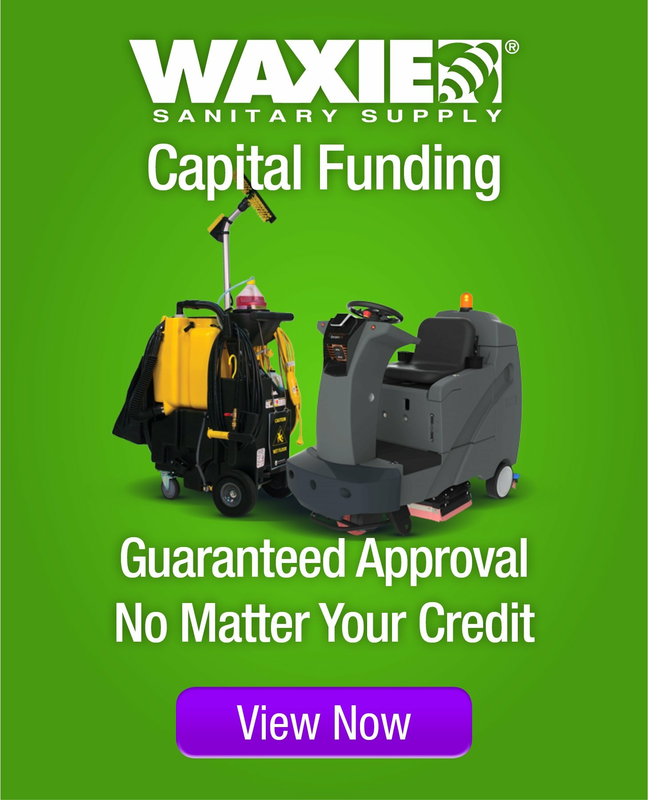 Your WAXIE Sanitary Maintenance Consultant can work with you to design and implement a customized green cleaning program which includes CRI Seal of Approval-certified carpet extractors.